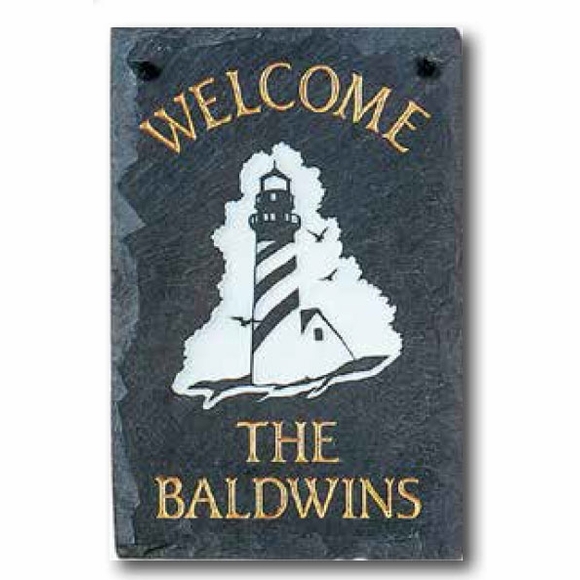 Personalized Lighthouse Welcome Plaque - - made of slate. 8" x 12" stone welcome sign personalized with your name, address, or alternate text. Made in USA. The word "WELCOME" comes standard on this plaque and is placed above the lighthouse image.